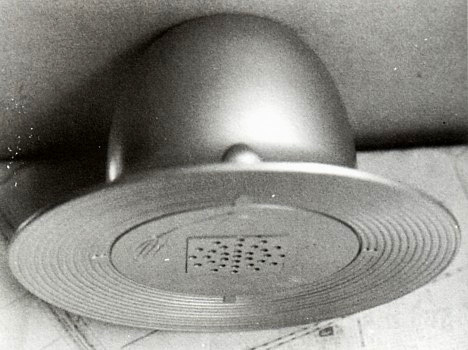 Picture of Mini UFO captured in 1972 in Japan. Later that day, Michio told his friends about the curious flying object. “UFO” had yet to become a household word in Japan in 1972, but the boys were intrigued nonetheless. At around 7:00 PM, four of them set out for the rice field in search of the object. About an hour later, they spotted the object flying over the rice field, lighting up the night with a pulsating silver light. When one of the boys tried to approach to object, it suddenly made a loud “pop” sound and started to glow blue. Frightened, they turned and fled without looking back. One of boys — a 14-year-old named Hiroshi Mori (14) — picked the object up with his hands and carried it home. Image of captured UFO in KOchi Japan. What could explain these mysterious mini-UFO sightings? Perhaps there is a rational explanation — or maybe they were hoaxes. It’s also possible the encounters were the products of overactive imaginations. Or perhaps, as suggested by JSPS head Kazuo Hayashi, these flying objects temporarily lost their way after slipping into our realm from another dimension.